Good afternoon, I have stayed in for instance HOMS and was told that I had to pay the bill in full before I could leave which I did. I just saw an AP article about how Congo hospitals actually hold you until you pay. Does any one have any first hand experience with some one not paying? What happens if you cannot pay the bill in full? Most would go as far as calling local authorities to have you detained. Clinics are privately owned and as such if you don't pay for a service, they proceed legally. You won't get in a Private Clinic to begin with unless they have the cash or verified means to pay in the first place. I have found the hospitals and clinics on the North Coast to be very generous. Maybe they just like me. I wrote in a thread on this site months ago, I never leave the house without my health insurance card, a list of contacts authorities can call if I am unable to do so myself, and instructions to keep me alive if they want to get paid. If you can't arrange payment for your treatment because you are unconscious when the ambulance brings you to the best and most expensive hospital available, they'll keep you around to see if someone comes forward with payment for a few hours and if not, it's off to the public system you go. Life saving or limb saving surgery will be put on hold until the financing is in place. In this country, I pay my cable bill after watching a month's worth of TV. I'm under no illusions that in the healthcare system, I must pay before I receive the service. they'll keep you around to see if someone comes forward with payment for a few hours and if not, it's off to the public system you go. Life saving or limb saving surgery will be put on hold until the financing is in place. This is exactly how they operate. I have a very close friend that was robbed and brutally attacked with a machete in Cabarete. 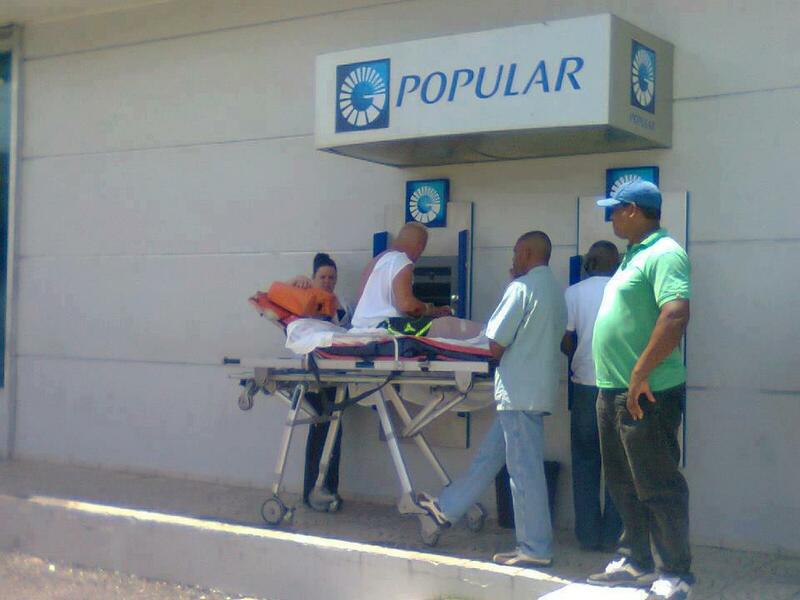 He was rushed to CMC and because he did not have his debit card or passport with him they refused to perform surgery,he was taken to the public hospital in Puerto Plata where they butchered him,he now has limited use to his arm and no use of one of his thumbs. CMC is run by a foreigner, not a Dominican operation. But I guess they learned the game quickly. Private clinics like Bournigal, HOMS, CMC, etc, etc, etc, essentially anywhere you would be treated as well as can be in the DR are under no obligation to treat people that do not have proof of medical insurance coverage or payment. You won't be "checking out" until they are paid if you are admitted. Yes, all of these clinics, no matter who owns them, have learned that if they don't get paid before you go, they are unlikely to ever be paid. And you certainly don't want to end up a public hospital. That is what it is in the DR.